Born in Exeter, Ethan Ampadu is an English footballer who currently plays for Chelsea FC. 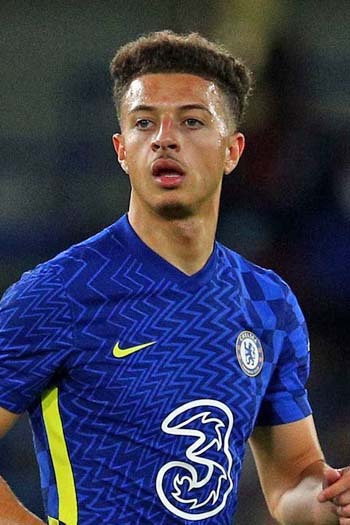 He qualifies through family history (His father is English, of Ghanaian / Irish parentage & his mother is Welsh), to play for England, Ghana, Ireland & Wales. Ampadu represented England at U16, Wales at U17 and U19 levels and was also called up for the senior Wales squad in May 2017, though didn't take part in the match. Ampadu is a product of the Exeter youth system and made his first team debut as a 15 year old in a League Cup game against Brentford. He was also still 15 when making his league debut in a game against Crawley Town. Ampadu signed for Cheslea on 1st July 2017 and made his senior debut in a 5-1 Carabao (League) Cup win again Nottingham Forest at Stamford Bridge on 20th September 2017, 6 days after his 17th birthday. i.e. Ethan Ampadu made 12 appearances for Chelsea, of which 5 were as a substitute.